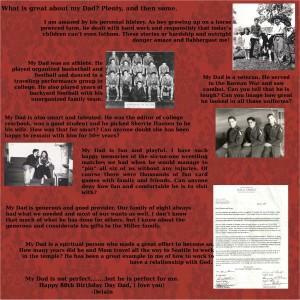 A client’s tribute to her father on his 80th birthday was a heart warming project to be a part of. At Leave A Legacy we encourage clients to do as much of the creative work as they desire or have time for. 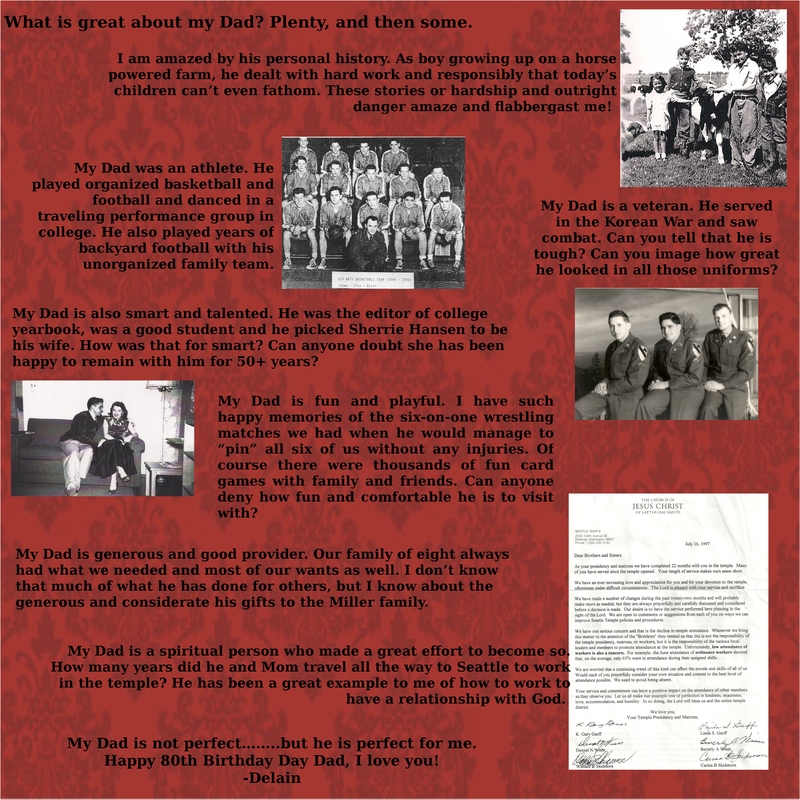 This client created her own digital scrapbook pages using a selection of special photos and documents from her father’s life. She designed several pages and we were enlisted to print them all on some heavy glossy paper and then bind it in a black rigid cover. All too often we leave the special feelings in our heart unsaid to the one’s we love. She definitely honored her father on his benchmark birthday with this special bound book and preserved memories of him for later generations.